Welcome to the official website of crime writer H.R.F. 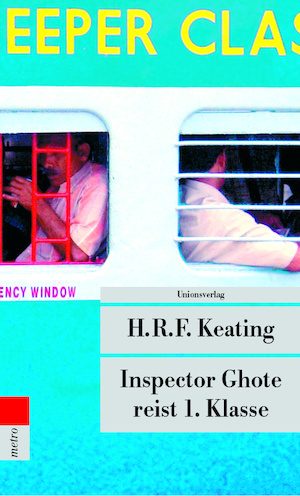 Keating, author of the Inspector Ghote series, two-time winner of the CWA Gold Dagger Award (for ‘The Perfect Murder‘ and ‘The Murder of the Maharajah‘) as well as the CWA Cartier Diamond Dagger for outstanding service to crime fiction.Four of Keating’s earliest Inspector Ghote titles are now available from Penguin Modern Classics, including The Perfect Murder, Inspector Ghote Breaks an Egg, Inspector Ghote Trusts the Heart, and Under a Monsoon Cloud. They can be found both in shops and on Amazon.uk. To remember Harry and his books, please visit the News & Discussion page to share your thoughts with other readers. 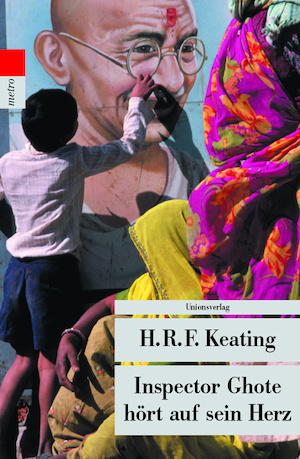 Keating galt als Doyen des britischen Krimis, und zwar nicht nur als hoch geschätzter Schriftsteller, sondern auch als Autor über das Genre. Geboren wurde Keating am 31. Oktober 1926 im englischen St. Leonards-on-Sea, er lernte Rundfunktechniker, wurde nach dem Studium Journalist und schließlich freier Schriftsteller. Er lebte mit seiner Frau, der Schauspielerin Sheila Mitchell, in London. Fünfzehn Jahre lang war er der Krimi-Kritiker der Times und blieb eine der großen Autoritäten auf diesem Gebiet. Für seine Romane um den bescheidenen Inspector Ghote aus Bombay, der sich mit den Reichen und Mächtigen anlegt, wurde Keating mehrmals ausgezeichnet. Neben der Inspector-Ghote-Serie entstand eine weitere Serie mit der Polizeiermittlerin Harriet Martens, die in England spielt. Keating erhielt als einer der ganz wenigen Autoren zwei Mal den Gold Dagger der Crime Writers’ Association; für sein Gesamtwerk wurden ihm 1996 der Cartier Diamond Dagger und der Edgar Allan Poe Special Award verliehen. Er war außerdem Fellow der Royal Society. The crime writer Henry Reymond Fitzwalter Keating, who has died aged 84, was more than happy to be known simply as Harry, although publishers always billed him as HRF Keating. Over half a century, he published roughly 50 novels. More than two dozen of these featured his best-known hero, the unassuming Indian policeman Inspector Ganesh Ghote, who also appeared in short stories, and television and film adaptations of Keating's books. Timid, nervous and deferential, Ghote was neither a detective genius like Sherlock Holmes nor a streetwise tough-guy like Philip Marlowe. He was always underestimated by his enemies but his great strength was a combination of integrity, perseverance and an overwhelmingly benevolent interest in people. Keating wrote several books before creating Ghote. His first novel, Death and the Visiting Firemen, was published in 1959. It was followed by more witty and slightly surreal novels, with intriguing titles such as Zen There Was Murder (1960) and The Dog It Was That Died (1962). However, Keating's highly contrived plots and acute sense of whimsy failed to find favour in the US. In a deliberate move to break into the American market, he decided he needed a solid detective hero and an interesting location. As he described the process: "I sat down with the atlas and when I got to 'page India' I thought that looked interesting." The result was the first Ghote novel, The Perfect Murder (1964), which won the gold dagger for fiction, awarded by the Crime Writers' Association (CWA). It was an outstanding success in America, being declared book of the year (as early as April) by the influential critic Anthony Boucher. Keating never saw Ghote as a long-term prospect, think- ing that there were potentially two or three more books in the series. But readers began to demand a book a year, and Keating wisely stayed loyal to his most unlikely detective and became, or so it was assumed, an expert on all things Indian. His gentle manner and a particularly luxuriant beard gave Keating something of the aura of a guru. In fact, he had never been anywhere near India. Things, as he said "were going quite nicely without having to face the actuality" when, one morning in the 1970s, the postman delivered a letter from Air India offering a flight to Bombay (now Mumbai) so that he might see the country he had been describing in convincing detail for the best part of a decade. Der Pfau muss Federn lassen. Rowohlt, Reinbek 1970, ISBN 3-499-42187-9. Inspector Ghote Goes by Train. Collins, London 1971, ISBN 0-00-231351-0. Inspector Ghote Trusts the Heart. Collins, London 1972, ISBN 0-00-231353-7. 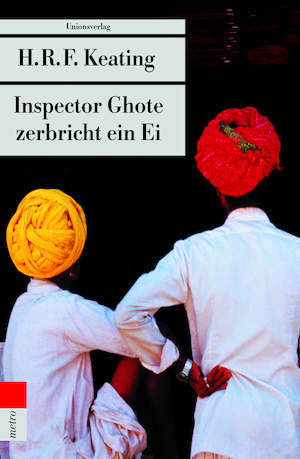 Inspector Ghote sucht die undichte Stelle. Rowohlt, Reinbek 1976, ISBN 3-499-42378-2. Inspector Ghote Draws a Line. Hamlyn Press, London 1981, ISBN 0-600-20249-6. Inspector Ghote unter falscher Flagge. Rowohlt, Reinbek 1980, ISBN 3-499-42543-2. Go West, Inspector Ghote. Collins, London 1981, ISBN 0-00-231289-1. 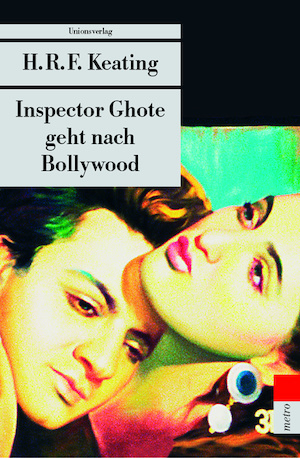 Inspector Ghote und der Guru in L.A. Rowohlt, Reinbek 1983, ISBN 3-499-42620-X. The Sheriff of Bombay. Collins, London 1984, ISBN 0-00-231735-4. Under a Monsoon Cloud. Hutchinson, London 1986, ISBN 0-09-163700-7. The Body in the Billiard Room. Hutchinson, London 1987, ISBN 0-09-170280-1. Dead on Time. Hutchinson, London 1988, ISBN 0-09-173459-2. The Iciest Sin. Hutchinson, London 1990, ISBN 0-09-173745-1. Cheating Death. Hutchinson, London 1992, ISBN 0-09-175189-6. Doing Wrong. Macmillan, London 1994, ISBN 0-333-60413-X. Asking Questions. Macmillan, London 1996, ISBN 0-333-66271-7. Bribery, Corruption Also. Pan Books, London 1999, ISBN 0-330-37242-4. Breaking and Entering. Pan Books, London 2000, ISBN 0-330-48304-8. Inspector Ghote’s First Case. Allison & Busby, London 2008, ISBN 978-0-7490-7970-3. The Hard Detective. Macmillan, London 2000, ISBN 0-333-76619-9. A Detective in Love. Macmillan, London 2001, ISBN 0-333-90723-X. A Detective Under Fire. St. Martin's Minotaur, New York 2002, ISBN 0-312-31657-7. The Dreaming Detective. Macmillan, London 2003, ISBN 1-4050-3344-4. A Detective at Death’s Door. Thomas Dunne Books, New York 2004, ISBN 0-312-34206-3. One Man and His Bomb. Allison & Busby, London 2006, ISBN 0-7490-8288-7. Rules, Regs and Rotten Eggs. Allison & Busby, London 2007, ISBN 978-0-7490-8030-3. Death and the Visiting Firemen. Penguin, Harmondsworth, 1959. Zen There Was Murder. Gollancz, London 1960. A Rush on the Ultimate. Gollancz, London 1961. The Dog It Was That Died. Gollancz, London 1962. Death of a Fat God. Penguin, Harmondsworth 1963. Is Skin-Deep, Is Fatal. Penguin, Harmondsworth 1965. In Schönheit sterben. Rowohlt, Reinbek 1966. The Strong Man. Heine Books, London 1971. The Underside. Macmillan, London 1974. A Remarkable Case of Burglary. Collins, London 1975, ISBN 0-00-231712-5. Murder by Death. Warner Books, New York 1976, ISBN 0-446-88161-9. Eine Leiche zum Dessert. Moewig, Rastatt 1987, ISBN 3-8118-4865-8 (früherer Titel Mord ohne Mörder 1986). A Long Walk to Wimbledon. Macmillan, London 1978, ISBN 0-333-23699-8. The Murder of the Maharajah. Hamlyn Press, Feltham 1983, ISBN 0-600-20320-4. Tod einer hochgestellten Persönlichkeit. Rowohlt, Reinbek 1982, ISBN 3-499-42583-1. The Rich Detective. Pan Books, London 1993, ISBN 0-330-33298-8. The Good Detective. Macmillan, London 1995, ISBN 0-333-62999-X. The Bad Detective. Macmillan, London 1996, ISBN 0-333-64994-X. The Soft Detective. Pan Books, London 1997, ISBN 0-330-35402-7. Murder Must Appetize. Lemon Tree Press, London 1975, ISBN 0-904291-05-7. Sherlock Holmes. The Man and His World. Thames & Hudson, London 1979, ISBN 0-500-01214-8. Writing Crime Fiction. Black, London 1986, ISBN 0-7136-2869-3. Crime and Mystery. The 100 Best Books. Xanadu Press, London 1987, ISBN 0-047761-25-X. The Bedside Companion to Crime. O'Mara Books, London 1989, ISBN 0-948397-53-5. The Governess. Doubleday, New York 1984, ISBN 0-385-19069-7. The Man of Gold. Doubleday, New York 1985, ISBN 0-385-23005-2. Crime writers. Reflections on crime fiction. BBC, London 1978, ISBN 0-563-16287-2 (zusammen mit Reginald Hill). Whodunit? A guide to crime, suspense and sy fiction. Van Nostrand Reinhold, New York 1982. Agatha Christie. First lady of crime. Weidenfeld & Nicholson, London 1977, ISBN 0-297-77295-3. Sein erfolgreichster Roman, The Perfect Murder, wurde 1988 in einer britisch-indischen Co-Produktion verfilmt.